For those who have been around me for any length of time knows me well enough to know I do things differently. One of the things I have been doing and getting more and more excited to do is our Christmas at Easter. I didn’t realize how much I would like this until I started putting everything together. We are going to be putting our Christmas tree up at the beginning of April. The actual name of the tree is called a Chrismon Tree. Most of the decorations are hand made and all of them are based on Jesus Christ. Each one means something different. The tree is special because it represents the life of Christ. 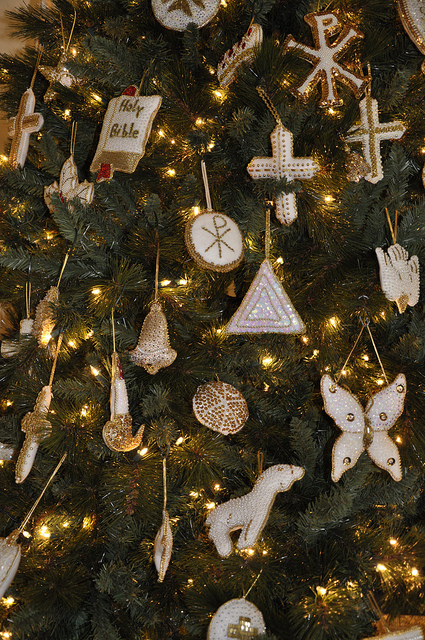 All the ornaments has a special meaning that tells the story of the life of Christ. I included the meanings at the end of this post. One of the things I have found by doing our Christmas at Easter is that it means so much more. The birth of Christ of course is extremely important. If Christ never came to us as a baby, we would have no hope. Christ came to save us from our sins. Jesus paid the price for my sins and everyone else’s. As I make each of these ornaments, I see a story come alive. The story and life of Christ. Each of these ornaments are important in their own way. What I have found by celebrating Christmas in December is that the meaning is lost. Commercialism takes over and Christ gets put on the back burner. We hear all the time the “Reason for the Season is Jesus Christ”. I do wonder if anymore it is becoming a common saying and people don’t really understand why Jesus is the reason. I can’t say all people loose track of the true meaning. But society and the world has a way of making it about money and things. I guess as a Christian, I look at things in a Christian way. Christmas is one of the biggest holidays for businesses. And it gets me because most of the world celebrates Christmas. But they aren’t celebrating the Birth of Christ. The reason I say that is because I have many friends that are of all faiths or no faiths at all. They put up Christmas Trees, wrap gifts and do all the things that come along with Christmas. But when you ask them why they celebrate since it is a day for Celebrating Christ, they say it is about family. Or they think it is a fun day and they love to give gifts and receive them. Many times children think it is all about Santa Clause. When Atheists share pictures from their day and all the gifts, I get sad. Because I know they don’t celebrate the reason reason we have this day. Now as a Christian, the nice thing about the Christmas Season is the music. That and Easter is the only times that it seems acceptable to since songs about Christ without someone boycotting something. Even though that does happen in some areas and even here in America. Like I said earlier, I’m super excited to celebrate the Birth and the Resurrection of Christ in this way. I wish it was communion Sunday on Easter Sunday. We do that only for the first Sunday. But that would be awesome. M y husband for many years hated Christmas. And I couldn’t grasp the thought that he hated it so much. What I came to find out over the years is that he didn’t necessarily hate Christmas. He hated all the stuff that went along with it. 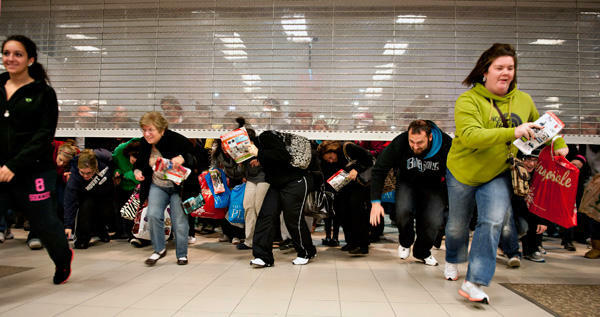 The frenzy that ensued on Black Friday to save a buck. The careless drivers and people doing whatever they could do to get what they wanted and willing to pay any price to get the bigger and better gifts. It was a keeping up with the Jones mentality. Even Christians got into the act of bigger and better. Christ was lost. When I started working at Lin’s Marketplace here in St. George, I began to feel the way Chuck did on some things. We started with putting merchandise out in October. Christmas music and decorations went up. It wasn’t because the store was super excited to celebrate the birth of Christ. It was because they wanted to sale sale sale. They wanted to entice the buyers. And each year it comes out earlier and earlier. It rather frustrates me now. It would be nice if they would wait till after Thanksgiving. Thanksgiving is just another day anymore too. All the talk around the table is who has the best deals to get on Black Friday. Now when people describe a holiday about family, I think Thanksgiving is that day. But society, stores and the world has taken the focus off the family time together and enjoying the company of our loved ones and friends, that it is gone. Since Chuck hated the Christmas season so much, I tried a number of times to do different things. But I have to say that I would fall into the thought of getting my kids everything they wanted, no matter the cost. Then it came time to pay the bills, and realized I was being stupid when it came to buying gifts and spending money. But this year, I wanted to do something different. Many times Easter is kinda looked over unless you have young kids that love Easter baskets and such. 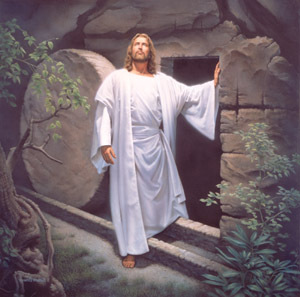 And in reality the Birth and the Resurrection are the most important of all observances for Christians. I was playing around with the idea of merging the two for a couple of years and this year I decided to do it. And I am learning and enjoying this so much more. I don’t have to compete with others trying to run me over in the store. My daughters don’t have to decided where they are going to go for Christmas dinner and have to eat at the other families later on. Bills get paid and the focus is put on Christ. It’s a win win for all involved. And nobody is getting killed in order to save the almighty buck. We are getting gifts for each person and exchanging them. It will be nothing overboard. We will be inviting friends to join us for dinner and I pray it will be an awesome day for all involved. And most importantly is that when everyone comes over after church on Sunday, they will be able to feel the presence of Christ in all things. From the tree, to the gift bags instead of Christmas Stockings filled with items to help them learn more about Christ. And there is candy, but the candy will also have verses and such on them. I’m super excited to be doing this and I’m thankful and blessed that my kids, husband and grand kids go along with my way of doing things. On a personal level, I think doing this has been therapeutic for me. I spend so much time at home and having to be careful when it comes to not getting sick. So I try to find things to keep me busy and preoccupied with other things that don’t involve Dr’s, nurses and medicines. This project has done that. I think in the process of doing this, I have become closer to God and have learned so much. The Chalice: The cup symbolizing the sacrament of Eucharist or Communion; it also represents forgiveness and reconciliation with God. The Crown: A King’s Crown is the symbol of royal power and authority. It symbolizes Jesus as King of the Jews, in fulfillment of prophetic expectation, as well as the exalted Christ as King of Kings. The Descending Dove: The dove is a symbol of the Holy Spirit, recalling the Holy Spirit’s descent on Jesus as a dove at his Baptism. The nimbus, three-pointed rays around its head, is a symbol of the Trinity. Chi Rho: Two Greek letters which are the first letters in the Greek word for Christ. Jerusalem Cross: The crusader’s cross. Worn by the crusaders going to Jerusalem, it symbolizes the Four Gospels or the spread of the Gospel to the four corners of the Earth. The five crosses can also represent the five wounds of Jesus. HIS–Iota, Eta, Sigma: The three Greek letters are the first three in the Greek word for Jesus. We are reminded that Jesus died on the cross for us. The Lamp: Represents Jesus as the light of the path for Christian through the world. The Star of David: The Star of David or the Creator’s Star. The six points represent six aspects of God: love, mercy, wisdom, majesty, power, and justice. In this form, the two triangles represent the Trinity. 8 pointed Armenian Star: The eight pointed Armenian Star, the points symbolizing Christ; in the west, it is called the Bethlehem Star, symbolizing the world Jesus came to save; eight is the symbol of regeneration, often associated with baptism or resurrection. The Clam: The seashell or scallop is a symbol for Christian baptism or the baptism of Jesus. It is also a symbol for pilgrimage and the spread of the Gospel to the world. The Earth: A symbol that reminds us we are all of this one world. Natal Star Cross: Natal Star Cross: A natal cross, with a four-pointed Bethlehem Star representing the sign in the night sky announcing Jesus’ birth combined with a cross, symbolizing the salvation which the birth of this child brings. 5 Pointed Star: Medievel Christians believed the 5 points represented the five wounds of Christ and was believe to protect against evil. Trefoil: Three circles interposed symbolize the unity of the Trinity, yet the separate Persons thereof. Triumphant Church Cross: –The world (as seen by the latitude and longitude lines) with the cross on top, reminds us that Christ is triumphant over the challenges presented by living in the world. The Peace Dove: A dove carrying an olive leaf is a symbol of peace.